It is not recommended to clean sensitive items, such as electronics and eye-wear, with ordinary tissues and clothes; they often can leave undesirable scratches and smudges behind. 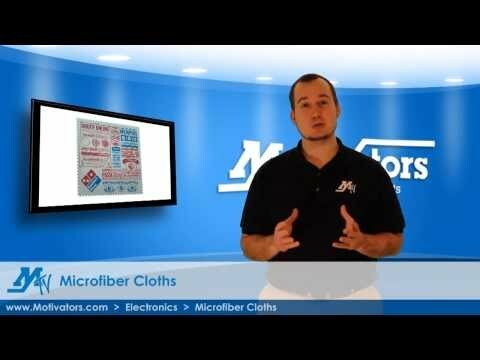 That's why the custom imprinted Microfiber Cleaning Cloth In Case is such a fantastic giveaway for your electronics store, eyeglasses store, or computer repair shop. The 220-gram microfiber cloth provides safe cleaning. Item comes with a clear case that easily shows off your company name and logo. Customer Review: People really loved this useful giveaway! However, another department had "even better, larger, more colorful, with graphics and printing right on the cloth." Answer: Yes, this item is imprinted only on the plastic case. We cannot imprint on the cloth itself.